Kris and I will do a Drools presentation for BeJUG on April 27th at 19h00 in Ghent (Belgium). We will be talking about Drools Expert, Drools Planner, Drools Flow, Drools Fusion and more. 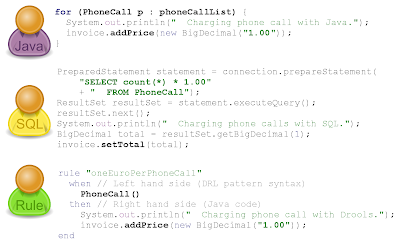 Here's a preview of the Drools Expert chapter, in which I 'll show a phone call billing use case. 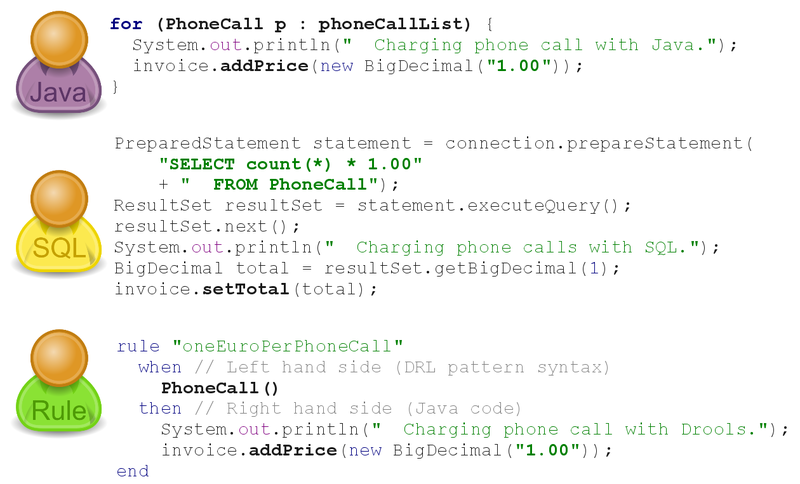 I 'll compare a pure Java, an SQL and a Drools implementation as the billing rules become more complicated. Hope you to see you there! Is there a video of this talk? Sounds interesting.